High blood pressure is normally determined by both the amount of resistance to blood flow in your arteries and the amount of blood your heart pumps. The narrower your arteries are and the more blood your heart pumps, the better chance of you having high blood pressure. You can have high blood pressure (hypertension) for years without even feeling any symptoms or side effects. This common condition can cause health problems, such as heart disease, heart attacks and strokes. High blood pressure can cause damage to your blood vessels. Uncontrolled high blood pressure can increase your chance of having serious health problems, however, high blood pressure can be easily detected. Once high blood pressure is detected, no need to worry. You can work with your doctor to control it. 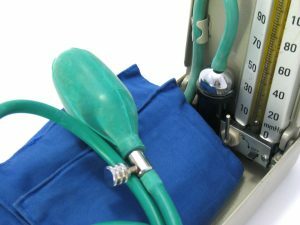 Some of you may ask, “So when’s the right time to see a doctor?” Normally, whenever you have your annual doctor visit, your blood pressure is taken as part of their routine doctor’s appointment. Every time you go in to see your doctor, ask for a blood pressure reading to help monitor where you are at. Blood pressure reading typically should be checked in both arms to determine if there is a difference. If you don’t regularly visit your doctor, you can buy a blood pressure machine that’s available in stores. Serving in the metro Detroit area for over 40 years, Westland Clinic provides excellent medical care and treatment to their patients. The doctors there work hard to fulfill all of your needs. If you aren’t sure if you have high blood pressure and want to get it checked out, just to be safe, contact us. Not only are we experts in that area, but we also welcome and encourage our patients to bring in their home blood pressure machines to cross check it. Call us at 734.728.2130 to schedule your appointment today!